Make your semester break one to remember at Adelaide’s biggest and best paintball park at Paintball Sports – Kuitpo. Every semester break we have scores of Uni students of all nationalities coming to experience the ultimate stress relief after studying so hard. 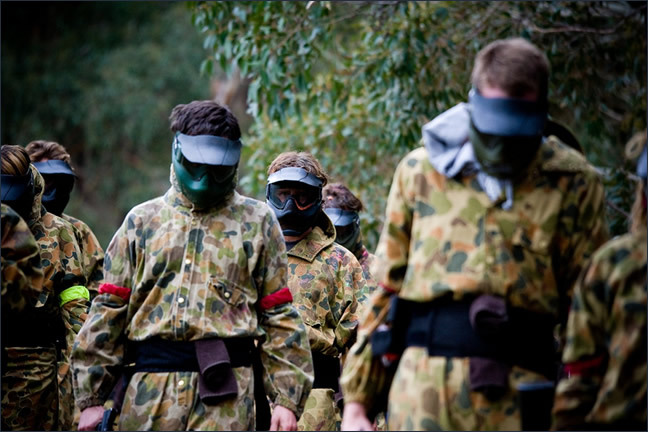 Paintball Sports is the most popular destination for Uni students parties around Adelaide. If you too like running around outside and being part of a group of likeminded people, paintball is just the thing for you. After studying for so long and spending time indoors, paintball is a great and fun way to get into the great outdoors, get some exercise and unload your stress on the opposition! 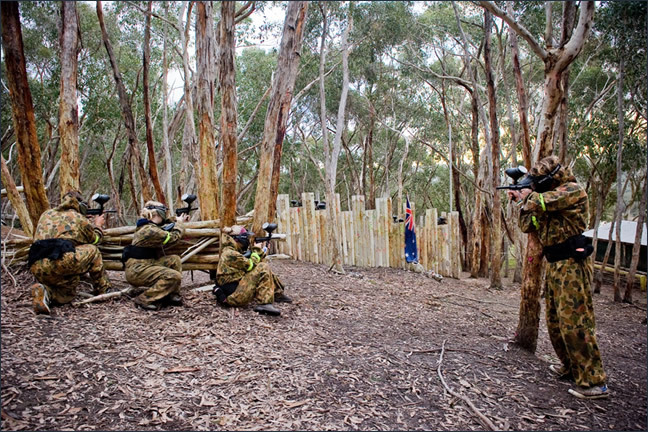 So do your mind and body a favour this semester break and book a session at South Australia’s University of Paintball! It’s so easy to organise Uni students events with us. Just book online now to select the date you want, and then start spreading the word around about the big day of fun, adrenalin and paintball extravaganza. Paintball Sports can be booked out weeks in advance, so make sure you get in early otherwise you might miss out on one of the most fun Uni students activities.